The youthful sounds of Miles Davis’s “Birth of The Cool” leaked out of the speakers at a low almost imperceptible volume. 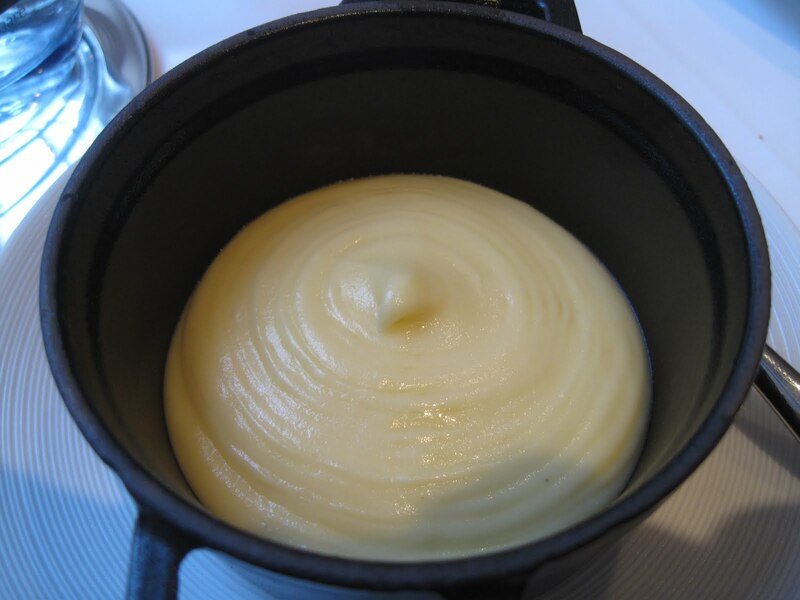 “That’s timeless” HP said to me, nodding upwards while prodding unenthusiastically at the latest dish placed before us during our meal at Roux at Parliament Square. As ever, Hermano Primero had summed up in one word, what it will take me over a thousand to achieve. 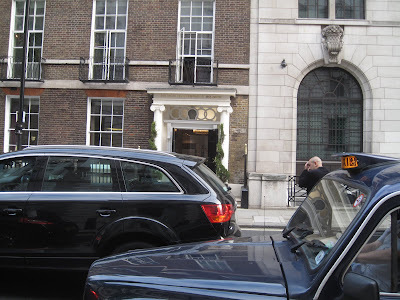 We both agreed as we left, that our meal at Michel Roux Jr’s new restaurant felt horribly old fashioned and, even worse than that, it had been horribly dull. I am, as usual, getting ahead of myself. 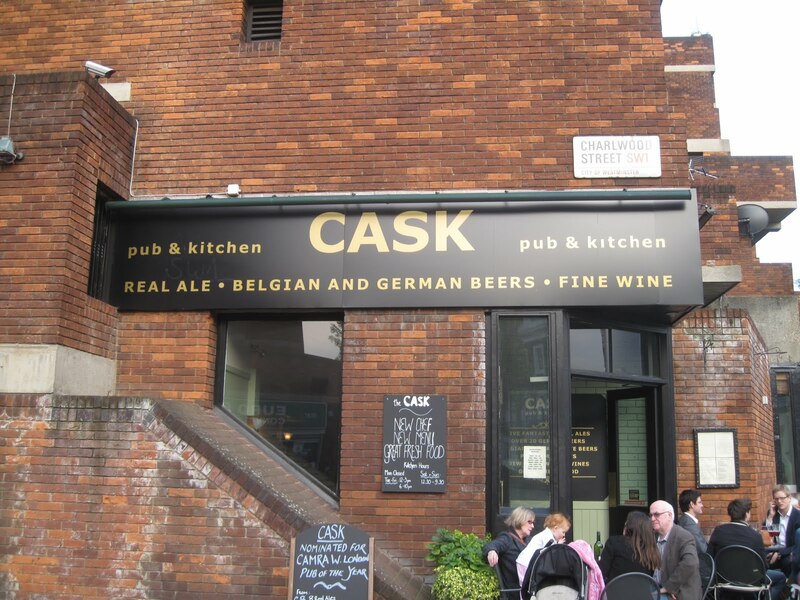 The evening had begun well at The Cask in Pimlico, London’s only home to the superb range of beers from Thornbridge Brewery in Derbyshire. 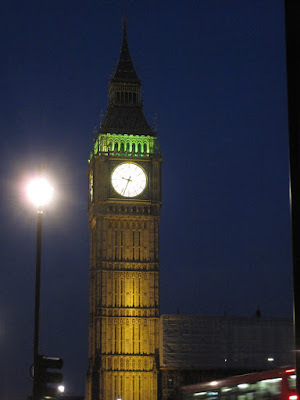 As we walked towards Parliament Square with a warm glow in our bellies from two pints of Lord Marple, I dared to hope that I might help HP keep up his recent run of good meals at new restaurants. R@PS was empty when we arrived at 7.30pm. We were ushered into the rather beige dining room and showed to a table by the window. We looked at each other and knew that we were both thinking the same thing, “good lighting for photographs.” Bloggers, eh? 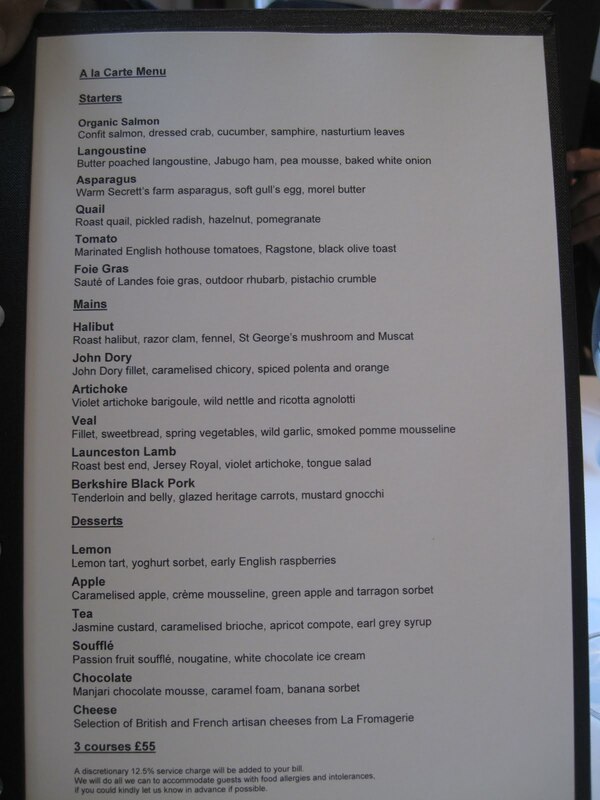 There were plenty of staff on hand and buttocks had barely touched seats before we were handed a couple of menus each. The first contained a seven course tasting menu at £65 a pop, the second the a la carte priced at £55 for three courses. We plumped for the latter assuming correctly that the announced courses would be accompanied by a few little extras along the way. Things began on a positive note with some terrific bread made to the restaurant’s specification by Rhodes Bakery of Greenwich, the same people who supply The Old Brewery. We had both polished off three slices by the time our first little mouthfuls arrived. A bite sized Pissaladière set the tone for the rest of the meal. 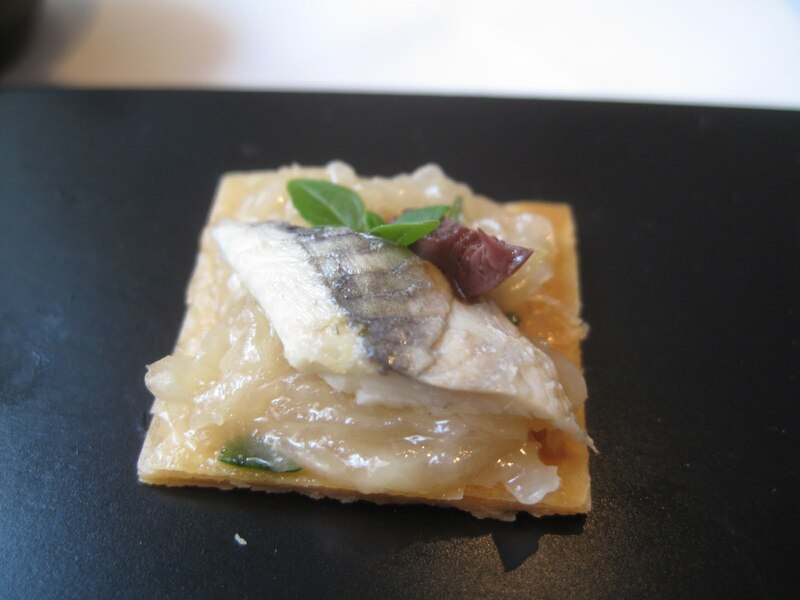 It looked the part, topped by a dainty fleck of anchovy, but lacked any discernable flavour. 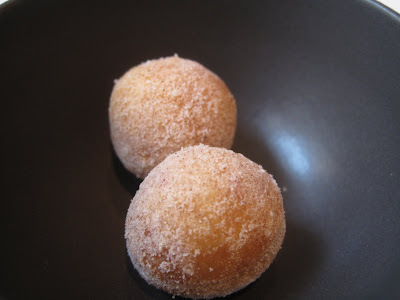 Two ill conceived foie gras doughnuts were little better and tasted as if they had been prepared earlier and left to sit for rather too long, the tough outer casing taking a hard bite to reveal the cold, liquid liver inside. Not a good combination. The next amuse also appealed to the eye more than it did the palate. 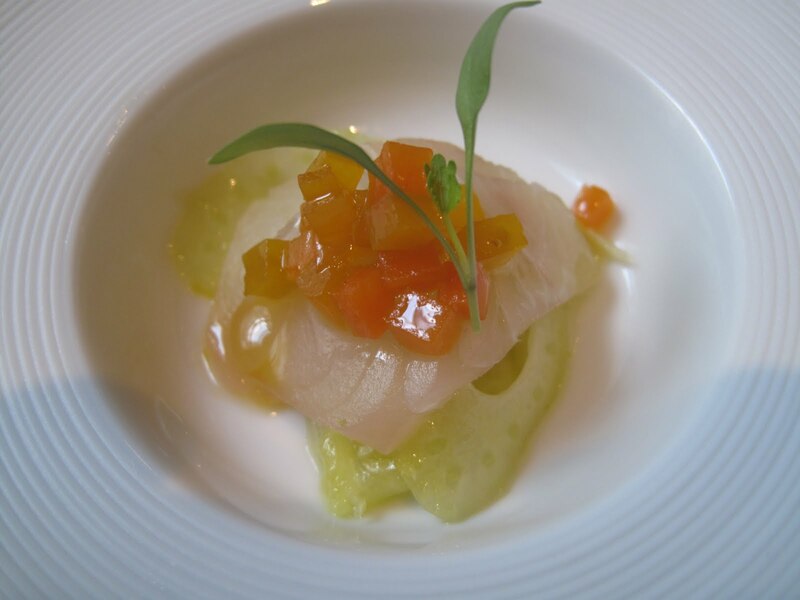 A small sliver of kingfish had been “cooked” in the Mediterranean style of Escabeche and laid on a few fine fennel slices and topped with candied vegetables and micro greens. It showed admirable effort for a one bite dish, but again it passed our lips without causing us to pause for comment. We had decided to add an extra starter to our meal in the form of English asparagus with a soft boiled gull’s egg and morel butter. 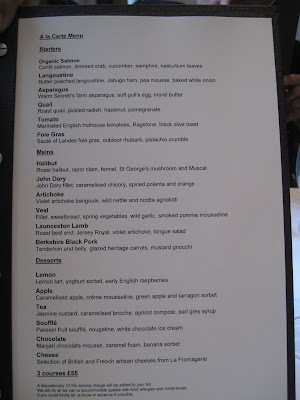 The menu is keen to shout the provenance of its ingredients and I can understand why. 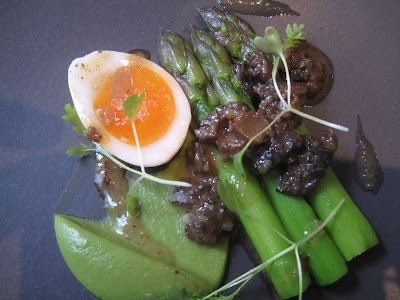 Despite HP’s lack of enthusiasm for this and indeed just about every dish we ate, the Secrett’s Farm asparagus was delicious and its crunch matched well with the creaminess of the egg yolk and the equally seasonal mushrooms. HP’s proper starter was a bit of a disaster. 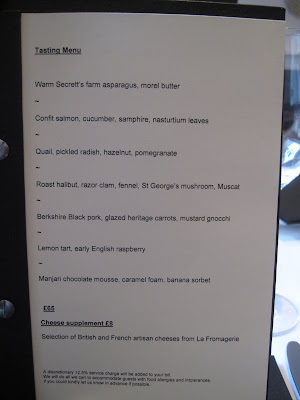 While I contemplated an artful plate of langoustines, pea puree and baked white onion topped with Jabugo ham, HP’s stared down with some dismay at a plate of food so ugly I thought they must have brought Tom Aikens into the kitchen especially for our visit. 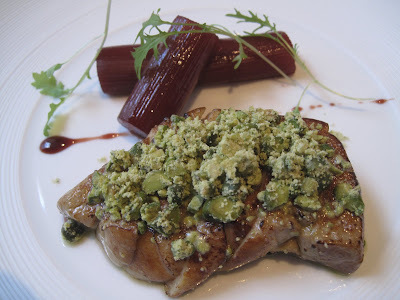 I am certain that the Aquitaine duck that gorged itself for our benefit would not have been made any happier with its lot if it had known that his glorious liver was going to be served under an incongruous “crumble” of pistachios and undercooked so that it was just a flabby, under seasoned lump. 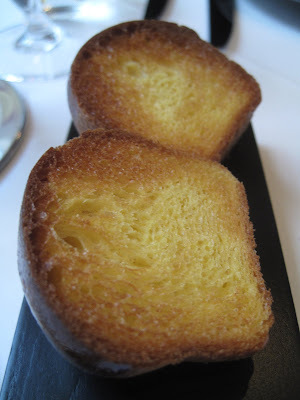 Two small cylinders of rhubarb were a good idea to cut through the fattiness of the foie, but the accompanying brioche lacked the essential buttery crumbliness of the best examples. HP did not look particularly unhappy when we swapped plates to try each other’s dishes. Unfortunately for him, neither was I. My own starter brought together some potentially excellent ingredients but in such an overwrought fashion that each managed to overpower the other. 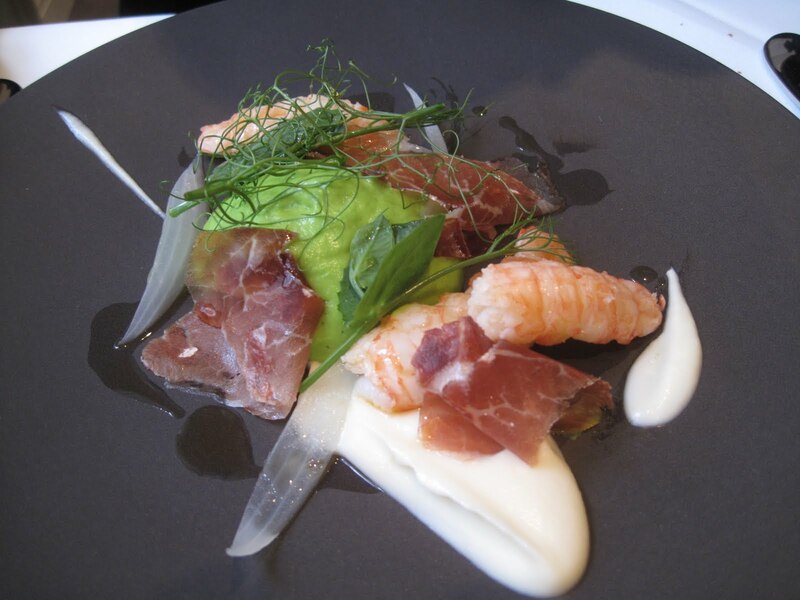 The langoustines and the ham were exemplary, but lost out in the battle against the onions and the pea puree to the point that they just became so much texture. It was as our main courses were delivered that HP levelled the accusation of being dated and old fashioned at R@PS. 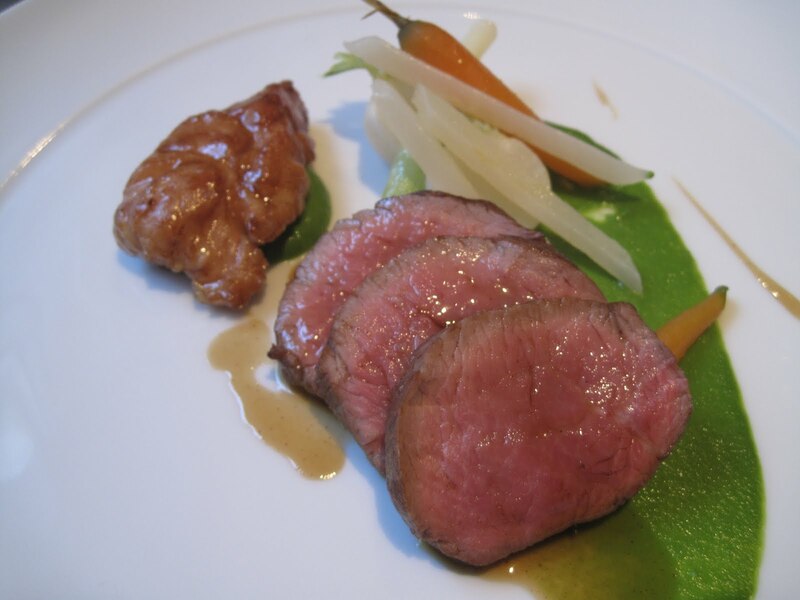 For him, veal fillet and sweetbread with wild garlic and pomme mousseline. For me, best end of lamb with Jersey Royals and a tongue salad. For both, a quick dousing with one of those all powerful reductions that we all hoped had been forgotten. 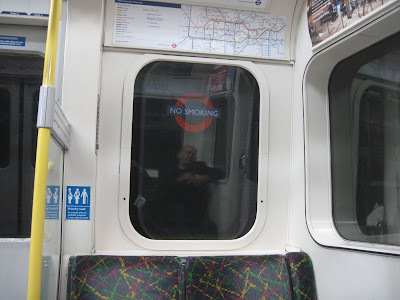 “It reminds me of eating a decade ago” HP whispered (it’s that kind of place) as he began to examine his meal more closely. The veal fillet had been cooked perfectly pink, but the little morsel of sweetbread had suffered a similar fate to the foie gras and lacked seasoning and the slight crust that should give way to the soft, almost liquid centre. This had just one texture. Mush. 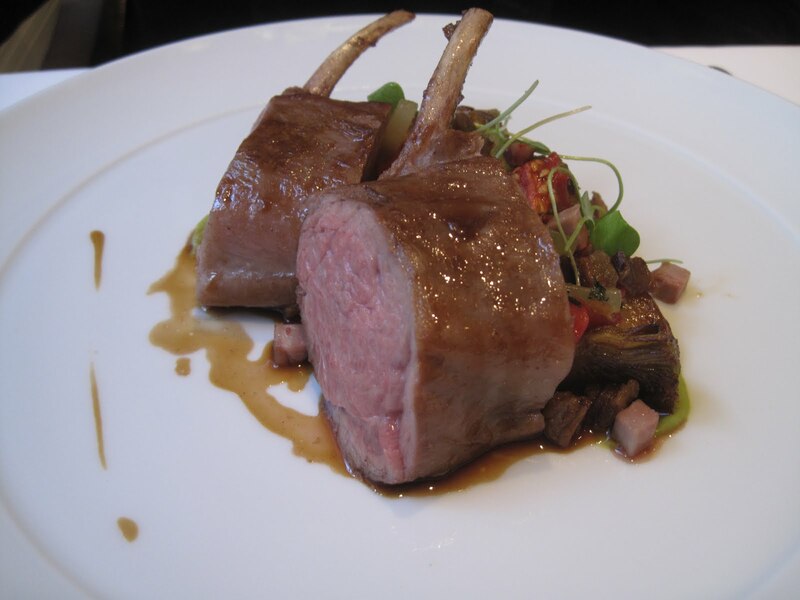 My own lamb had been slightly overcooked, more medium than pink, which was unforgivable for a restaurant where technique seems to be paramount and certainly rules at the expense of taste. However, the poor execution could not hide the excellent quality of the lamb or the delicious little nuggets of tongue. 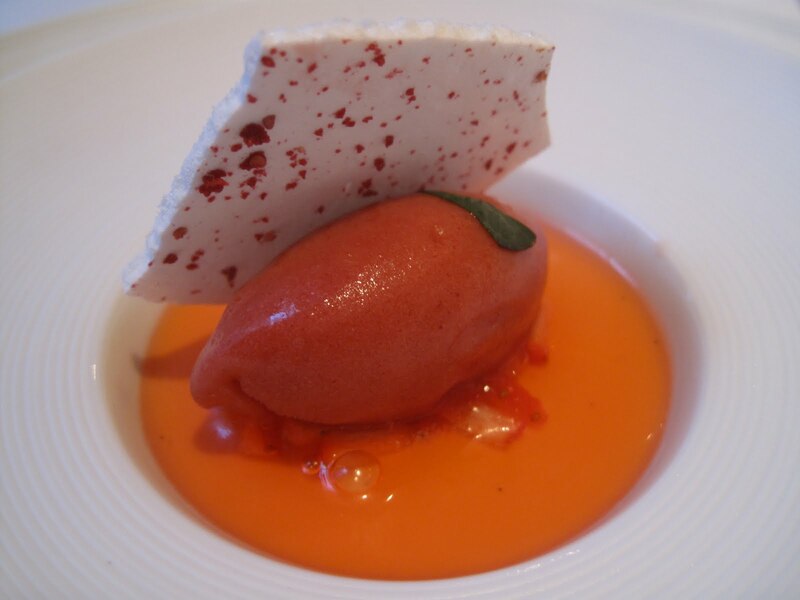 They were a welcome relief to a meal that had been almost as beige as the room, but not enough to rekindle any enthusiasm as we waited for our desserts. 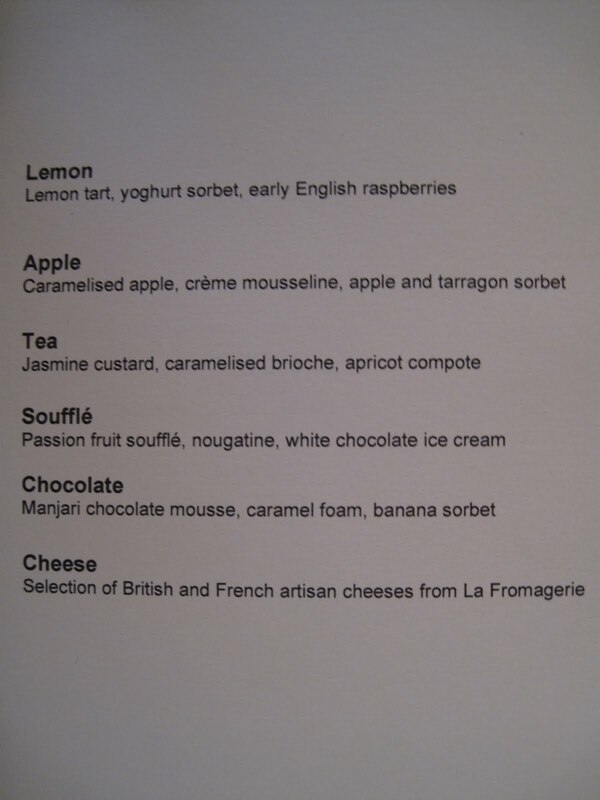 If we had been given a two course option, the preceding dishes would have surely made us skip pudding. 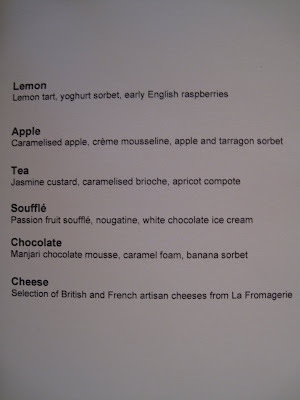 However in the spirit of “well, we’ve paid for them so we should have them” we ordered a Passion Fruit soufflé and a Chocolate mousse. Neither did much to dispel our poor opinion of the kitchen. 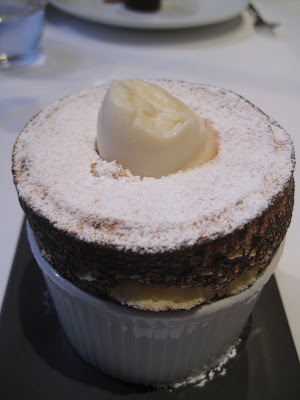 I can still recall the chocolate soufflé I was served at Interlude De Chavot nearly twenty years ago. The deep, rich, velvety crust that broke to reveal the soft, air light centre and the sheer sense of indulgence as the waiter ladled melted chocolate into the centre and then left the bowl on the table to for me to help myself as I pleased. 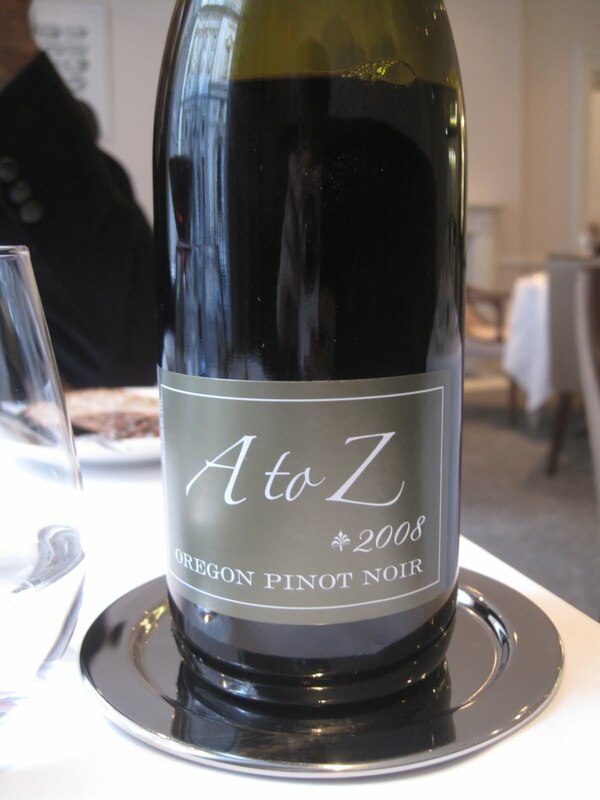 The fact that I can barely recall the version served at R@PS two days later should tell you all you need to know. 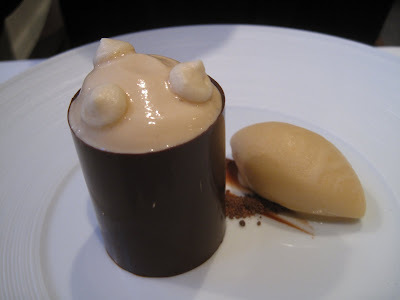 If it helps, HP describes it as “over eggy.” The chocolate mousse was first year catering college pastry chef stuff and we barely took more than two bites each. 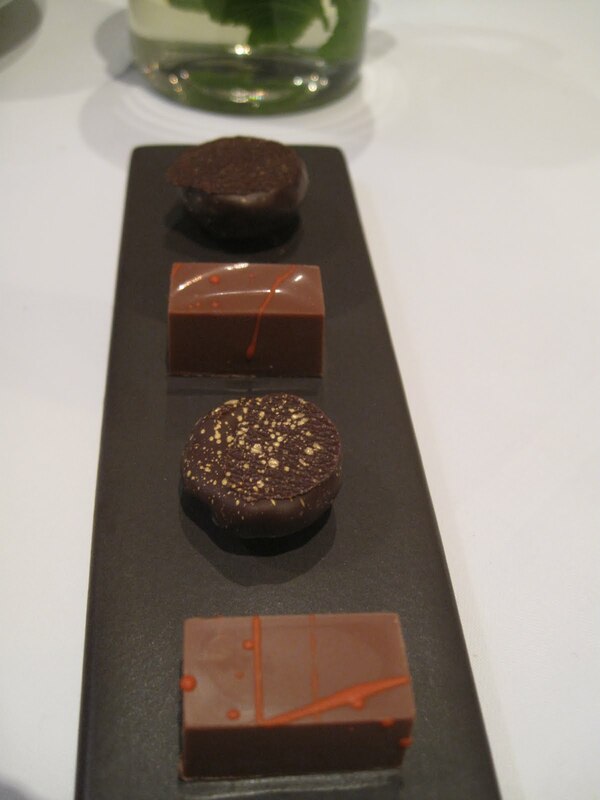 Fresh mint tea and coffee along with some decent petits fours brought the bill to a whacking £190 including a 12.5% charge for service. Let’s talk about the service for a moment. There was certainly plenty of it, particularly while we had the dining room to ourselves until about half way through the meal. But, while it was friendly enough, it also felt uncomfortable and slightly overpowering, another remnant of fine dining in days past. The staff have yet to learn the all important lesson of when to leave you the hell alone and let you get on with your meal. This was particularly true of the sommelier who seemed unable to contemplate that two men with more time behind them than they have in front of them might be able to decide when they wanted more wine. He appeared at our side seemingly after every few mouthfuls to top up our glasses with a lovely Oregon Pinot and, while I am sure this was more down to over enthusiasm than anything more suspect, it added to the clumsiness of the rest of the service. At the very end of the meal, when he was distracted by other customers, we managed to pour the last of our wine all by ourselves. The heavens didn’t crack and worlds didn’t end, but so mortified was the young man by this that we received two apologies for the, and I quote, “failure of the final pour”. He really need not have apologised. We both know how to work our way around a bottle. 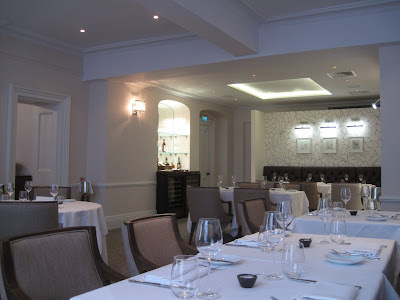 But, perhaps it is the chefs who should have given us an apology for one of the most lacklustre and uninspiring fine dining experiences I can barely recall in a long time. 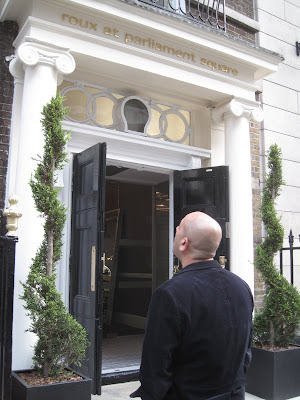 At the very least, they could have turned off the sound of Miles Davis reprising “Birth of The Cool” as they rushed to open doors for us on our way out. 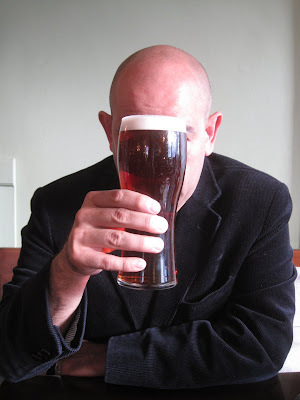 A bad meal unfortunately makes for a rivetting read at the expense of the blogger. Commiserations. 'This is just dated'... Killer. "HP stared down with some dismay at a plate of food so ugly I thought they must have brought Tom Aikens into the kitchen especially for our visit"
Maybe the brutality to foie gras, twice in one menu, was performance art, commenting on the European Union? I hope you were wearing a tie. It sounds like that sort of place. I really laughed at the Tom Aikens comment. I still shudder at a dish I once had at his flagship place that looked like a decomposing jelly fish/Shrek snot, and didn't taste nearly as good as it looked. BUT, and it's big but, I do think you've been overly harsh here. I had lunch at this place last week and for under thirty quid thought it rather exceptional value, with all the extra bits and bobs. Yes, the decor is a snore, and the staff are a bit on edge, but I thought the starters and mains were on good form, the ingredients were superb (I had a tremendous piece of sea bass) and, if you want the classic Roux experience for not too much dosh, I'd still recommend it. Dessert was a bit disappointing though - a square of chocolate brownie with caramel ice cream. Could do better. Once more you are spot on. 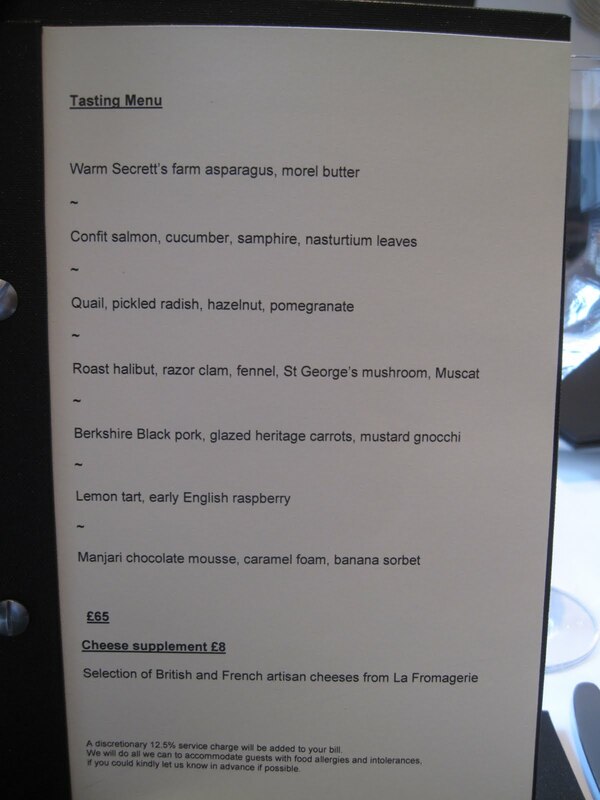 Had lunch there last week,and the £55 menu was totally bland-manger. Lots of stuff as found in jars of baby-food ,splodged around the plate,but the food ,while well seasoned,did not taste of anything. I am not sure the chef has ever eaten proper food?? ?